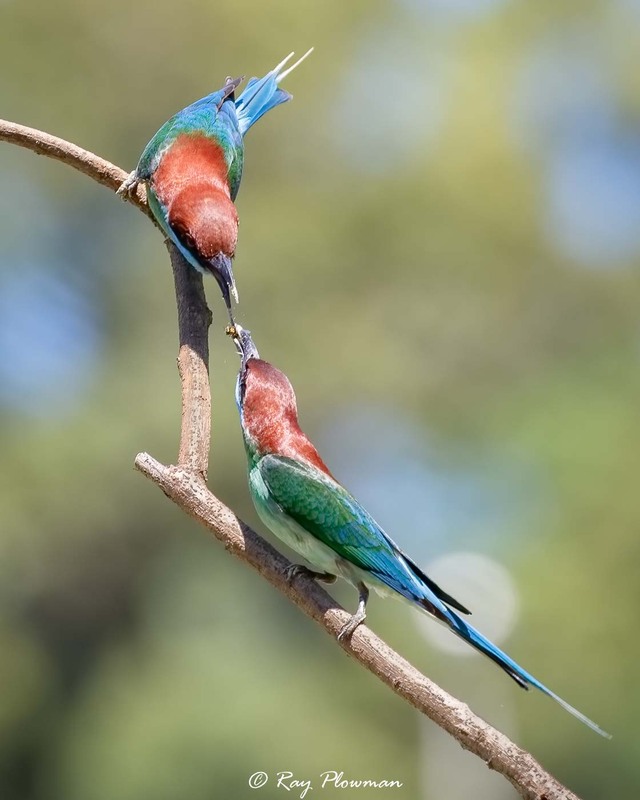 This page features two image galleries of feeding, hunting and other behaviours. 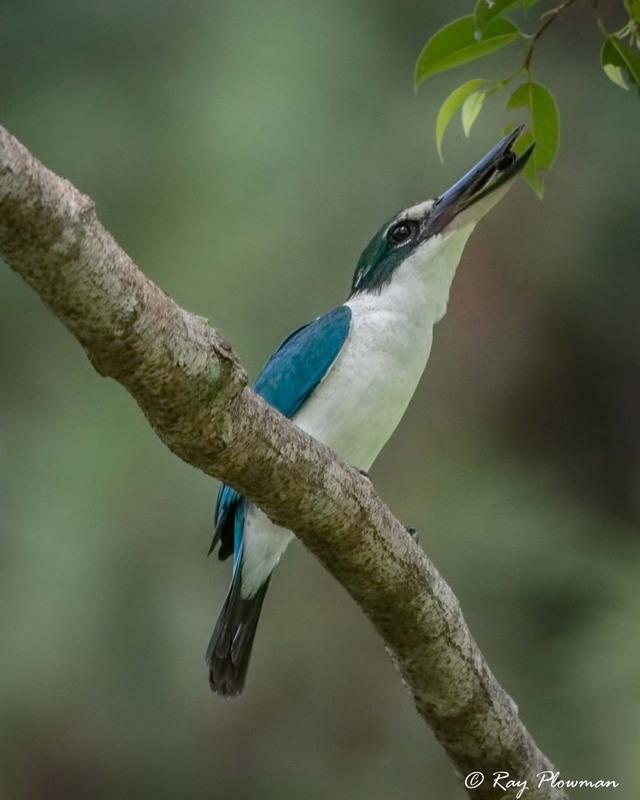 The first features short photo essays of tree (Halcyoninae) and river (Alcedinidae) kingfishers while the second display images of kingfisher allies. 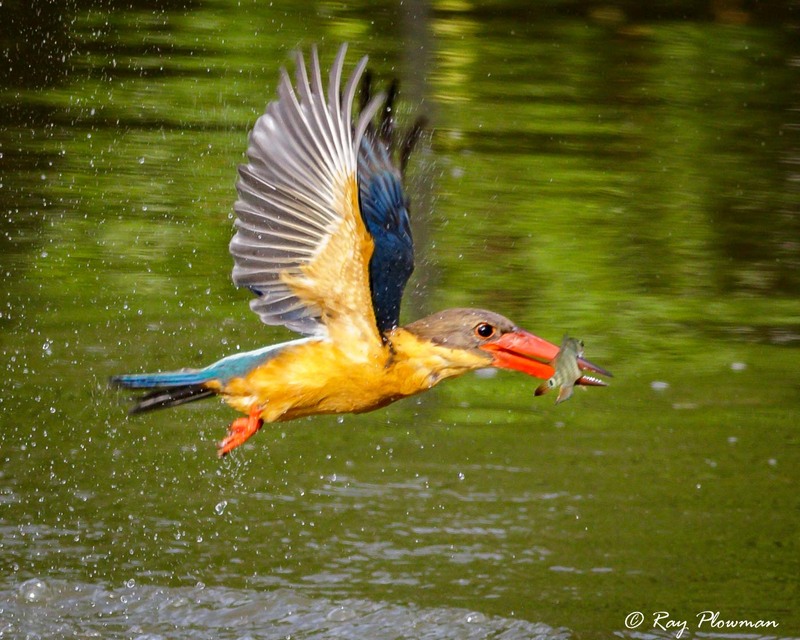 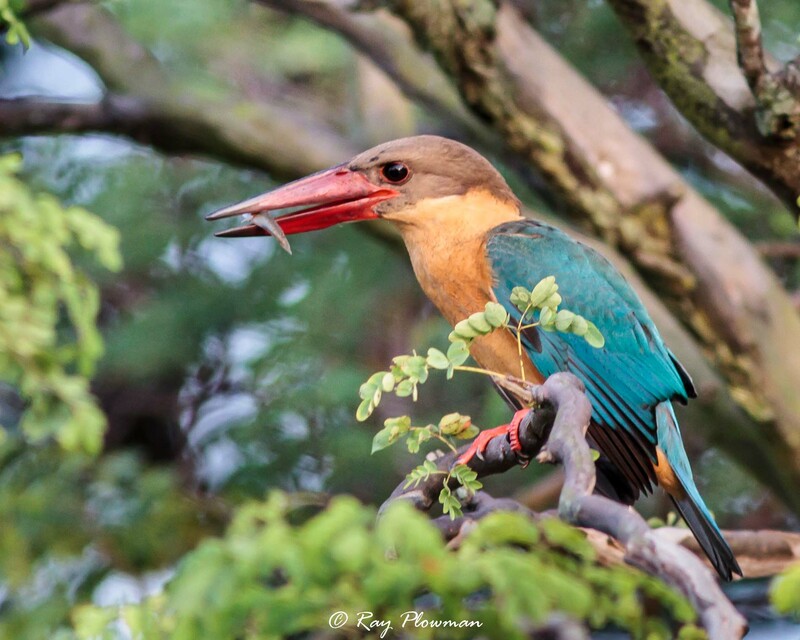 My favourite photo essay and species to photograph is the stork-billed kingfisher. 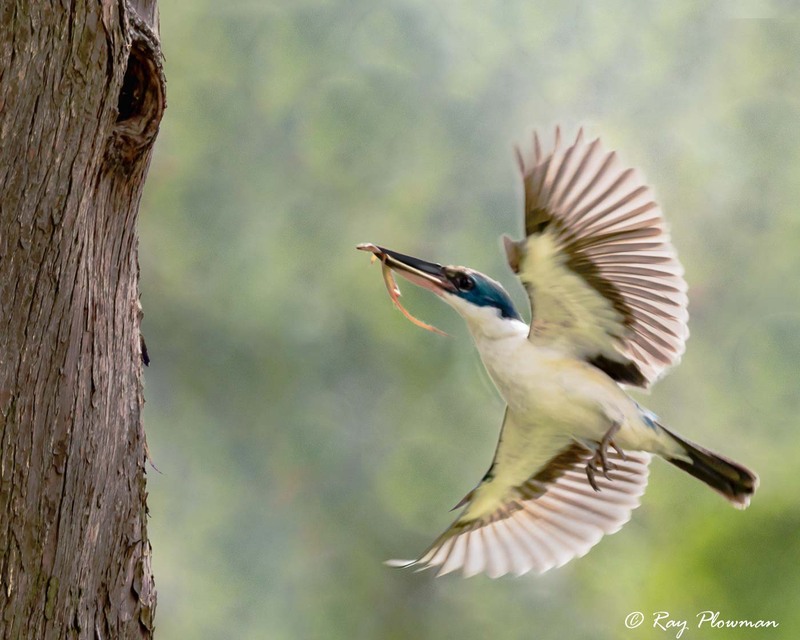 The series of images shows the bird perched in small tree waiting for fish to rise to the surface, then it swoops down to stab a fish. 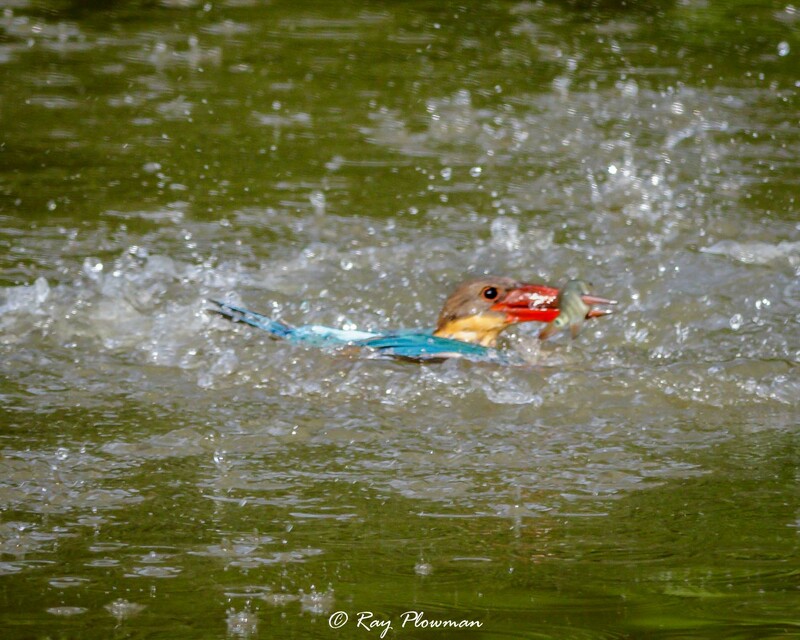 On this occasion it seemed to overly the fish, turn around and dive shallowly into the water unlike other kingfishers that often dive in vertically. 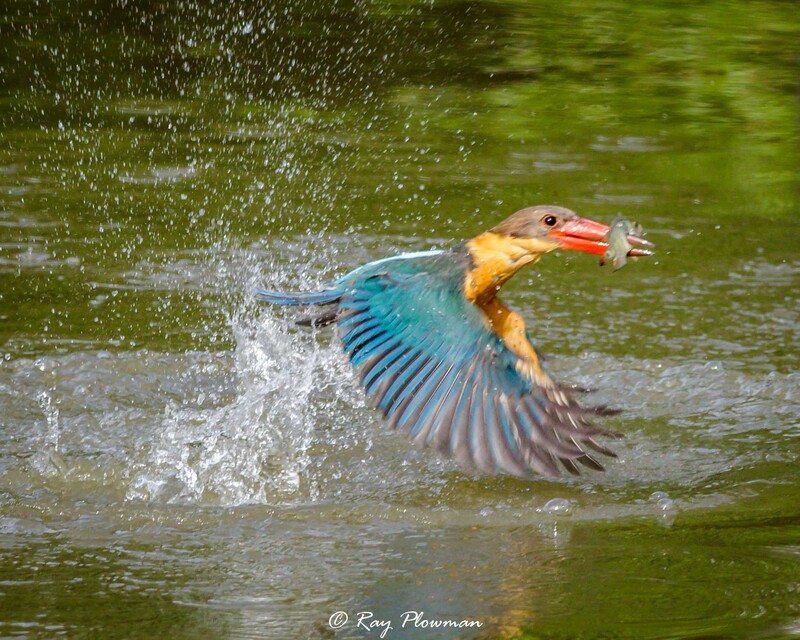 The image below shows the dive pattern. 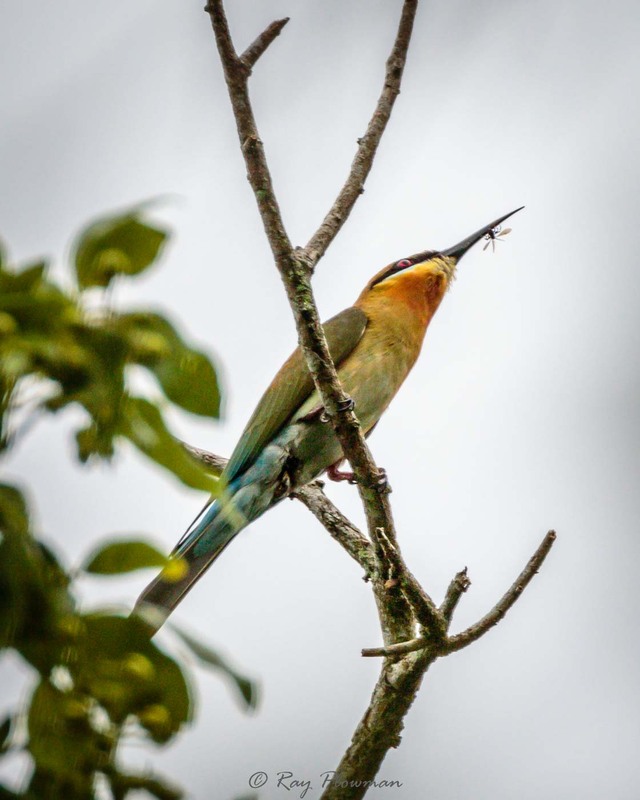 It took me many visits over several years to get these shots. 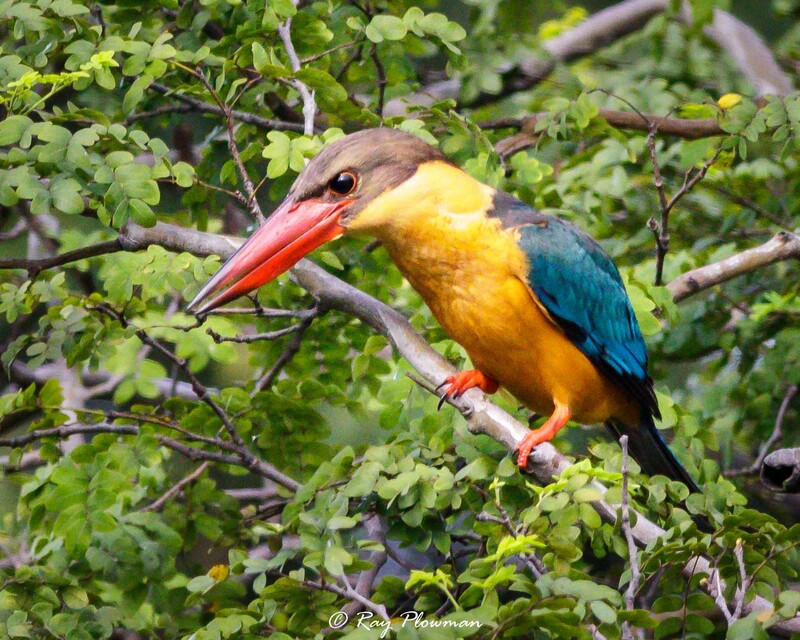 My favourite photo essay and species to photograph is the stork-billed kingfisher. 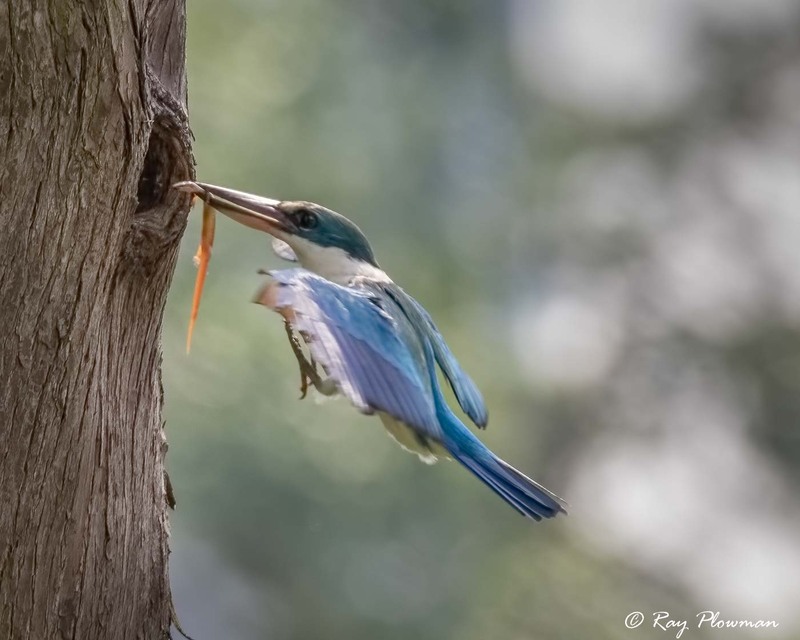 The series of images shows the bird perched in small tree waiting for fish to rise to the surface, then it swoops down to stab a fish. 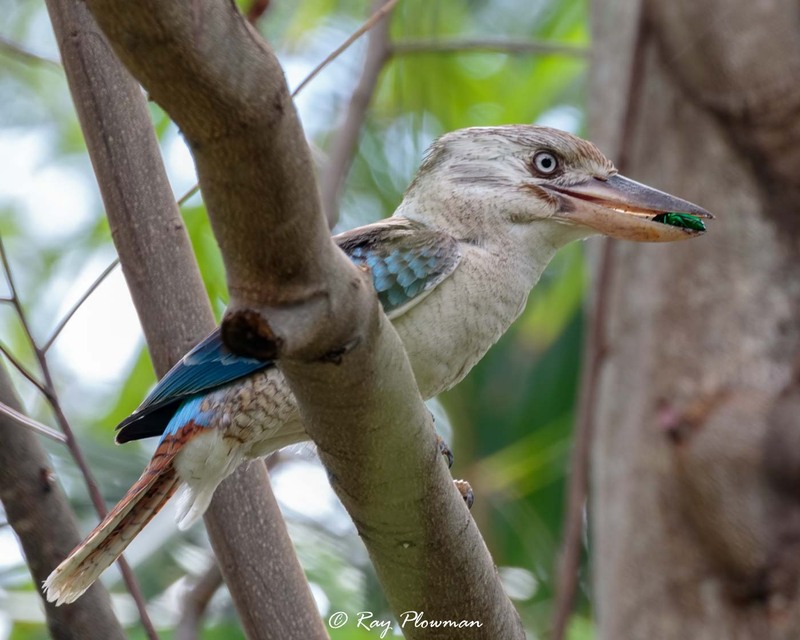 On this occasion it seemed to overly the fish, turn around and dive shallowly into the water unlike other kingfishers that often dive in vertically. 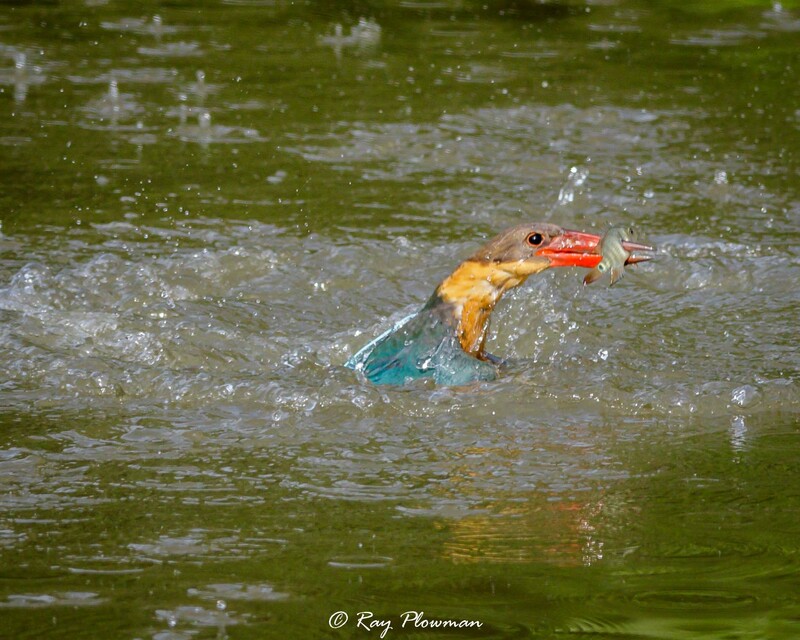 It took me many visits over several years to get these shots. 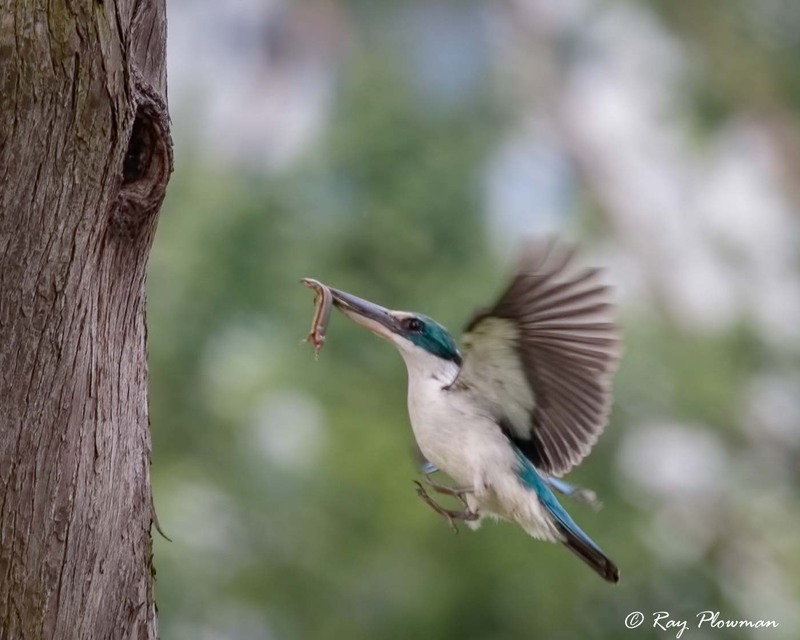 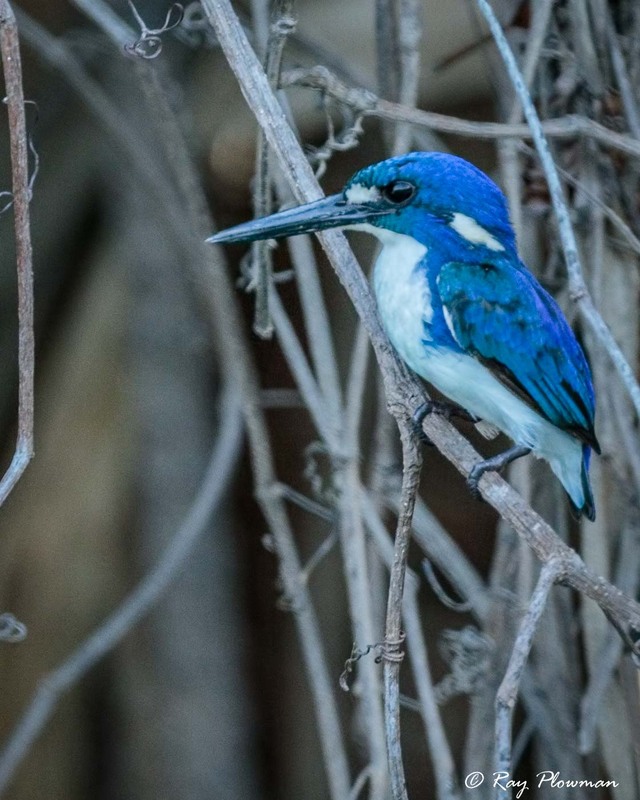 The next sequence is the ubiquitous collard kingfisher flying to its nest hole to feed its chicks inside the tree. 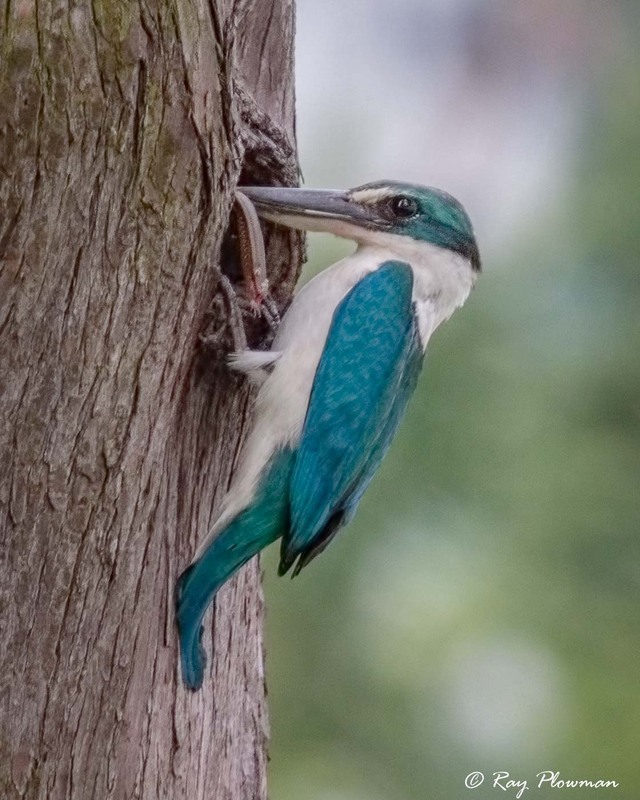 This is one of the most successful resident species of Kingfisher that breeds in Singapore, it’s very noisy with an unmistaken call that can be heard and seen all over the island. 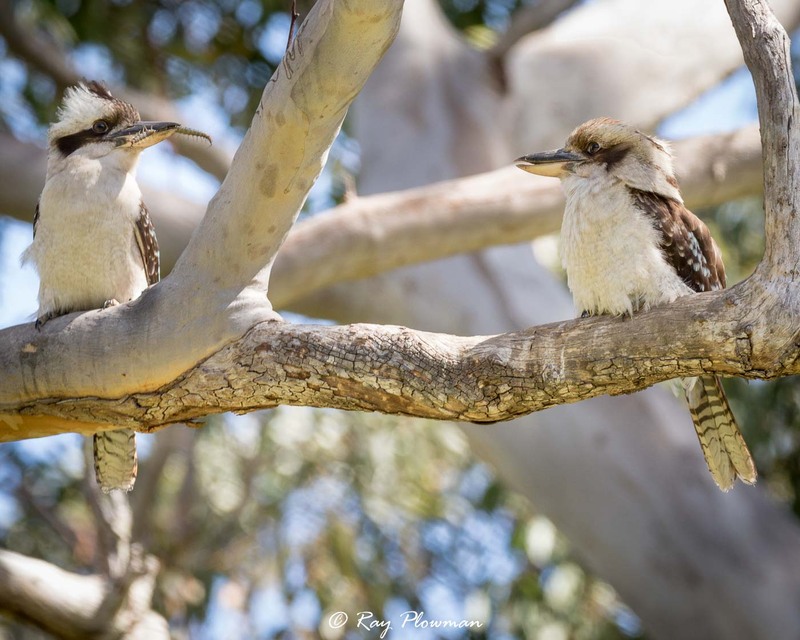 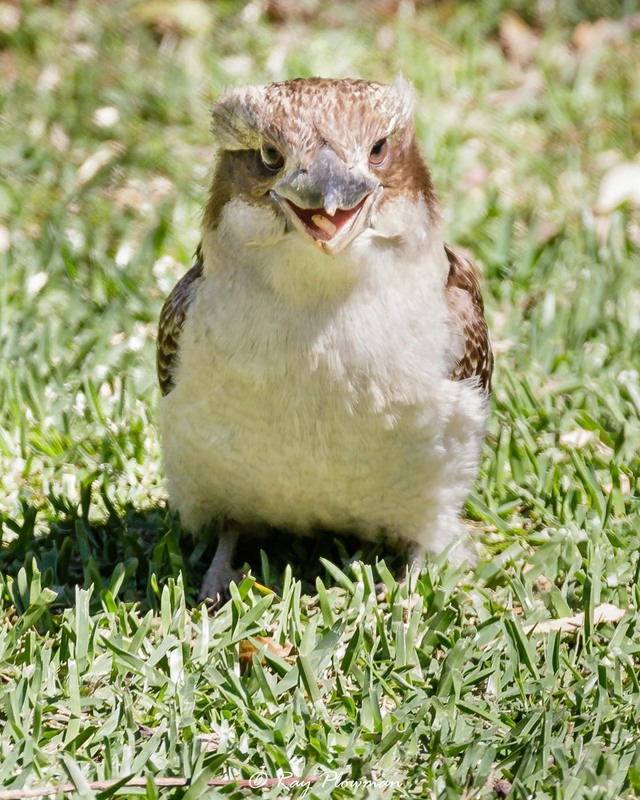 Next up is a series of laughing kookaburra images some show a parent tempting an immature offspring with food. 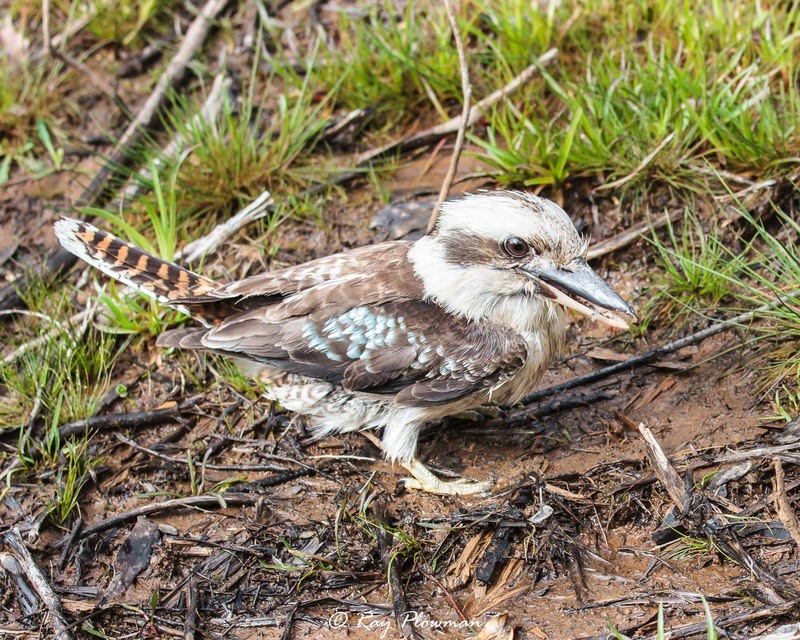 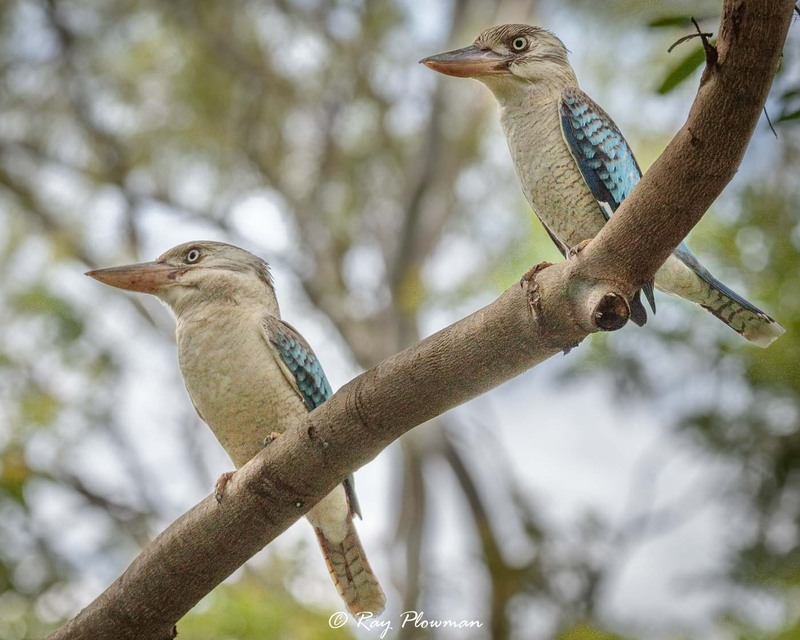 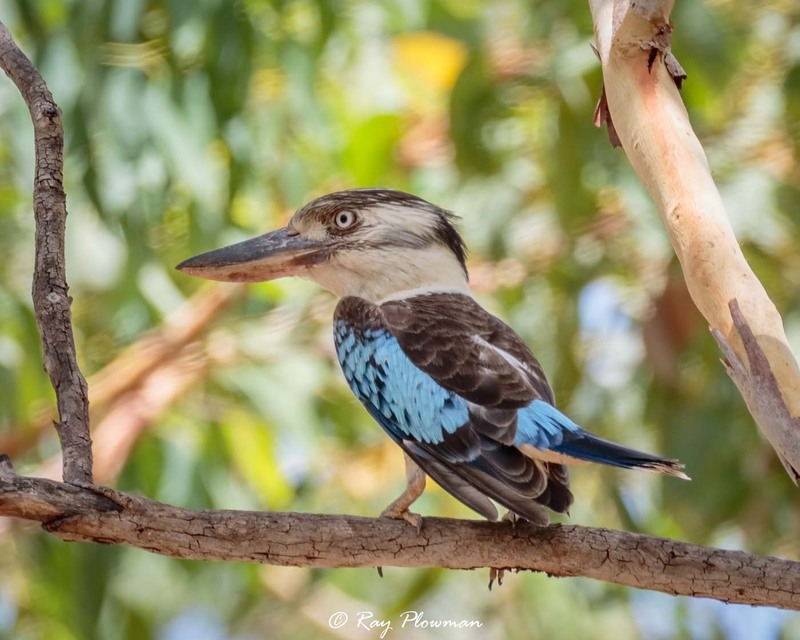 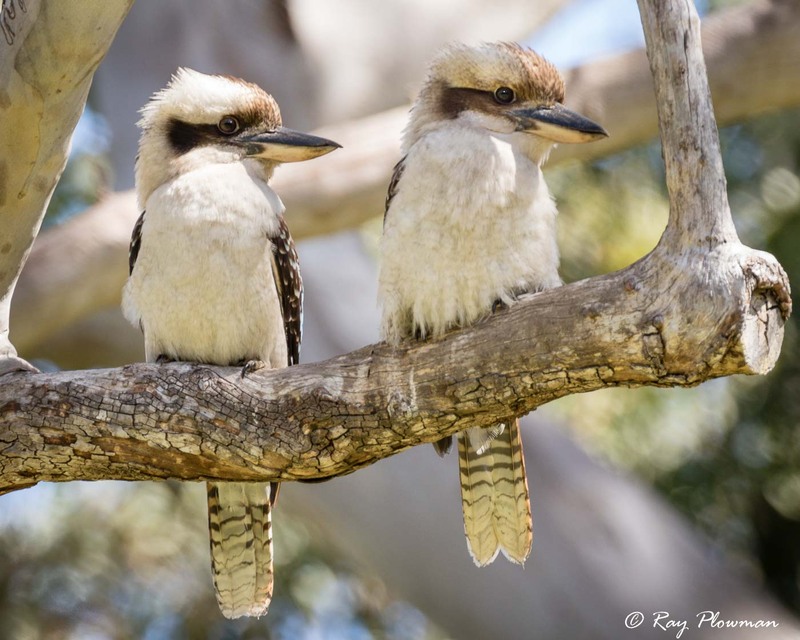 Unlike the laughing kookaburra the blue-winged is dimorphic, male has a blue tail and the female rufous. 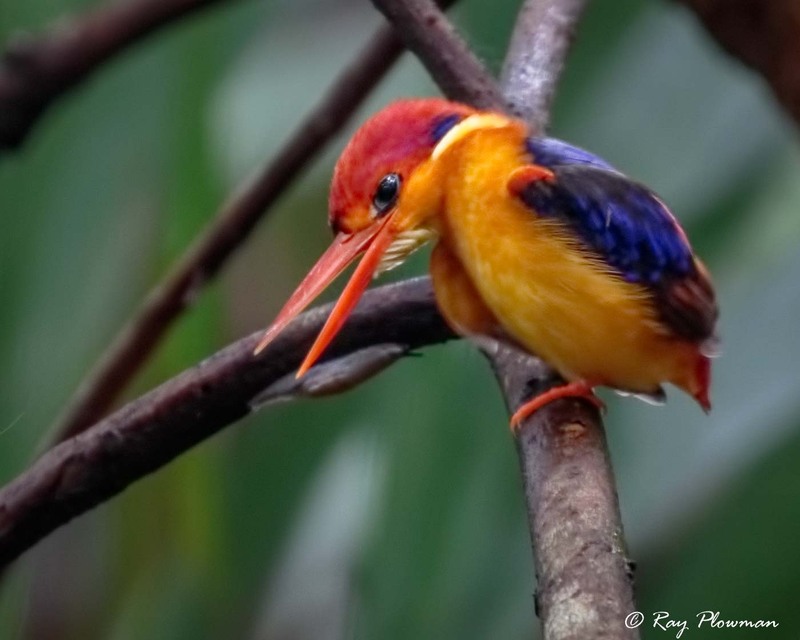 The oriental dwarf kingfisher or black-backed kingfisher image show individual hunting in the forest at Singapore’s Bukit Timah Nature Reserve and feeding on its primary food – insects. 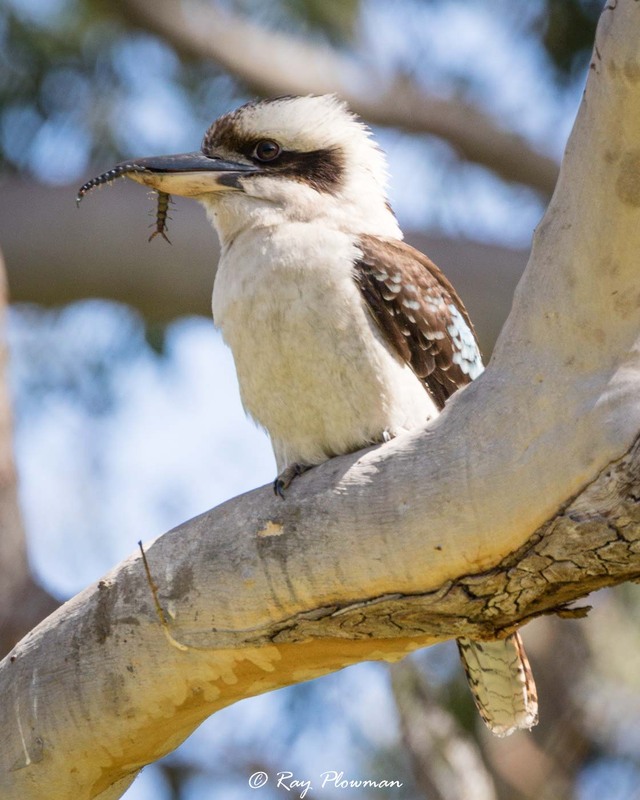 I watched this individual hunting for around two hours, in that time it successfully captured two insects, the first was dispatched quickly but the second took around five minutes to devour. 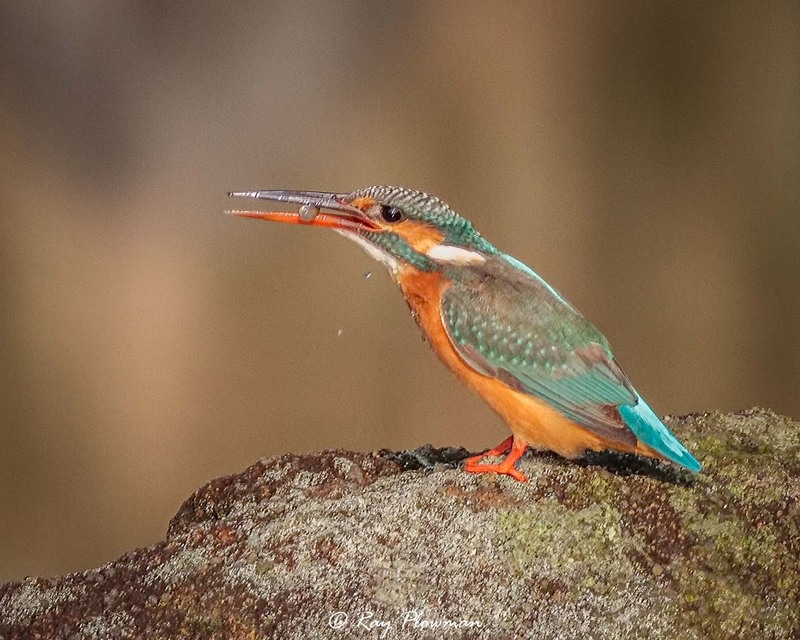 The final few images are river kingfishers perched looking for food. 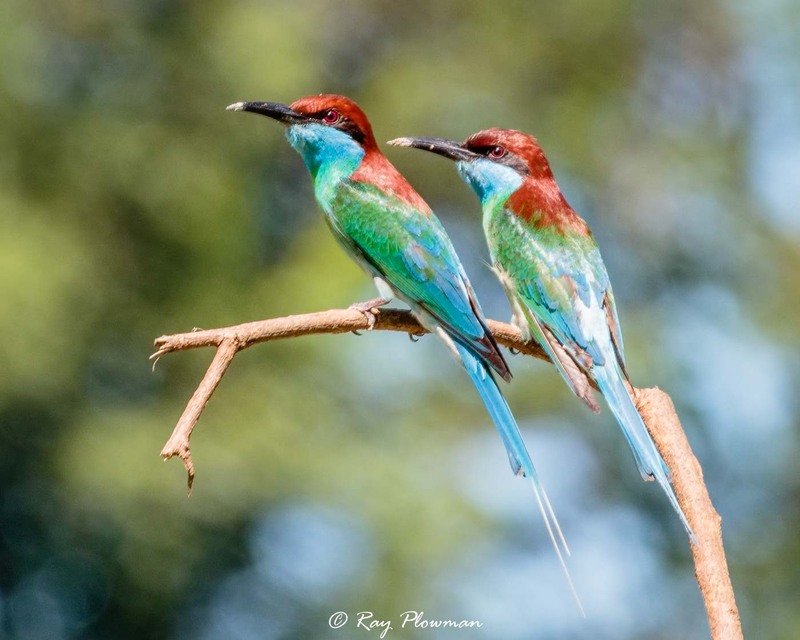 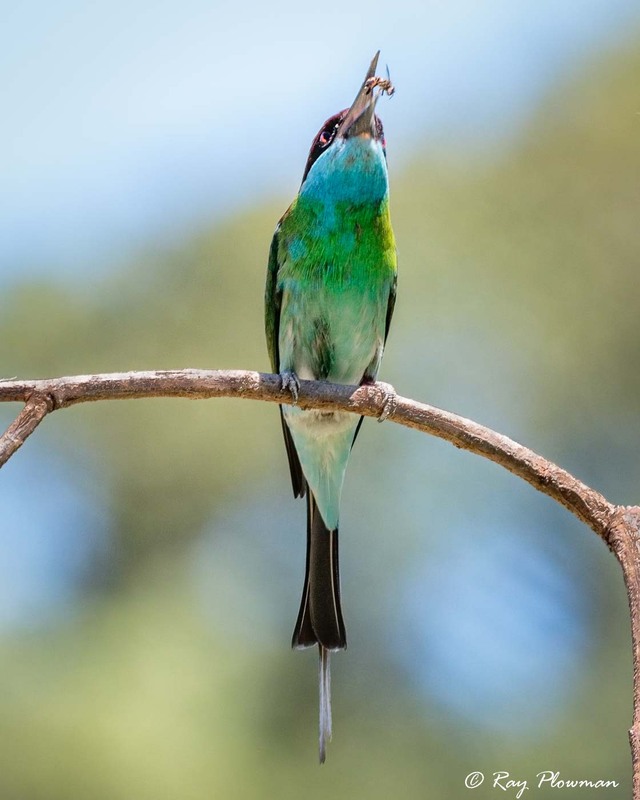 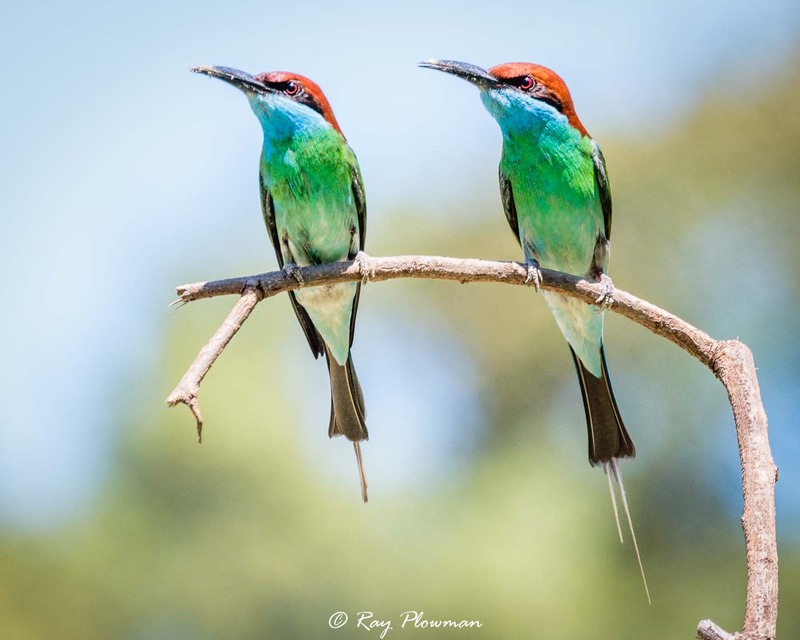 A series of blue-throated bee-eater showing a pair perched looking for food, returning to the perch with a captured bee and eating their prey. 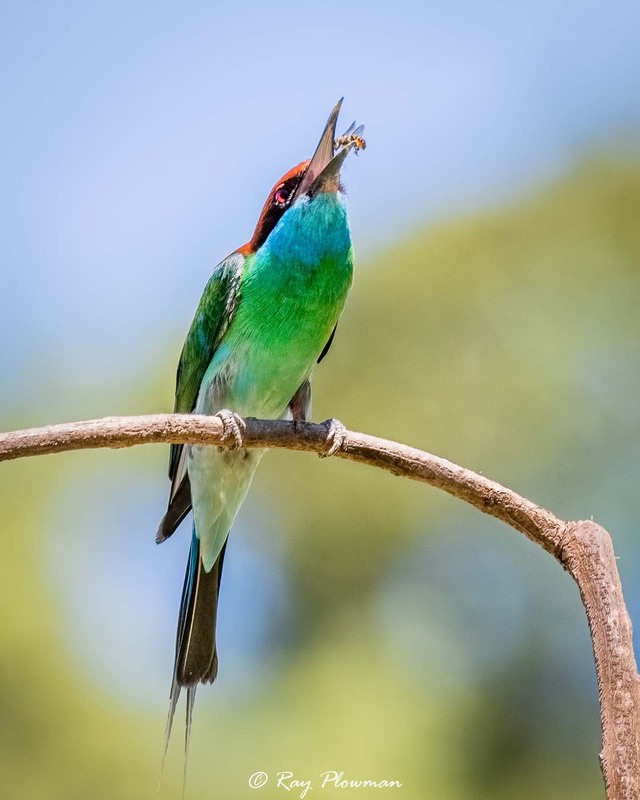 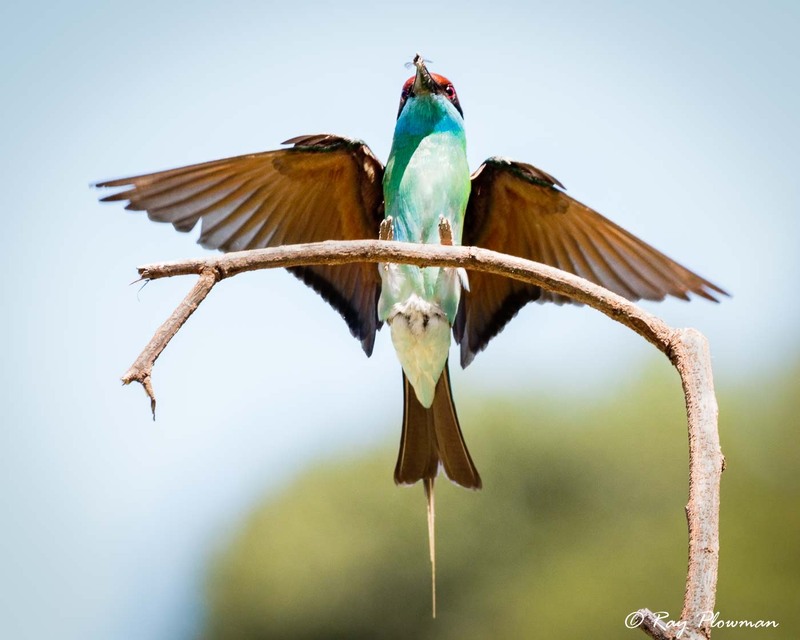 The blue-tailed bee-eater is shown with a captured flying insect. 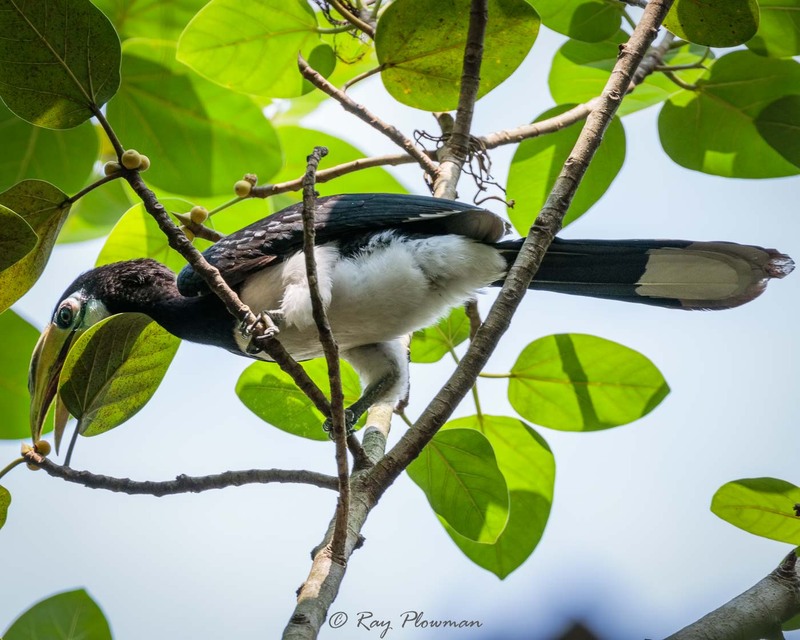 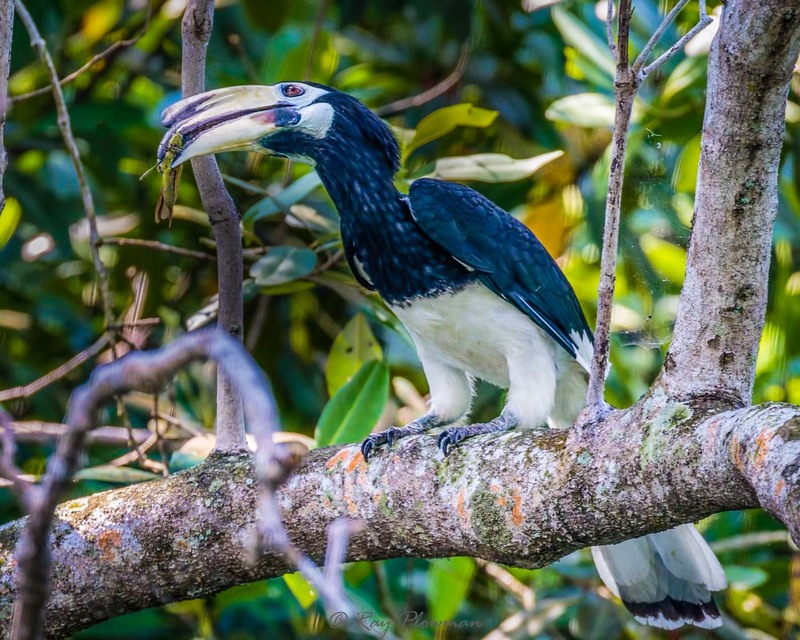 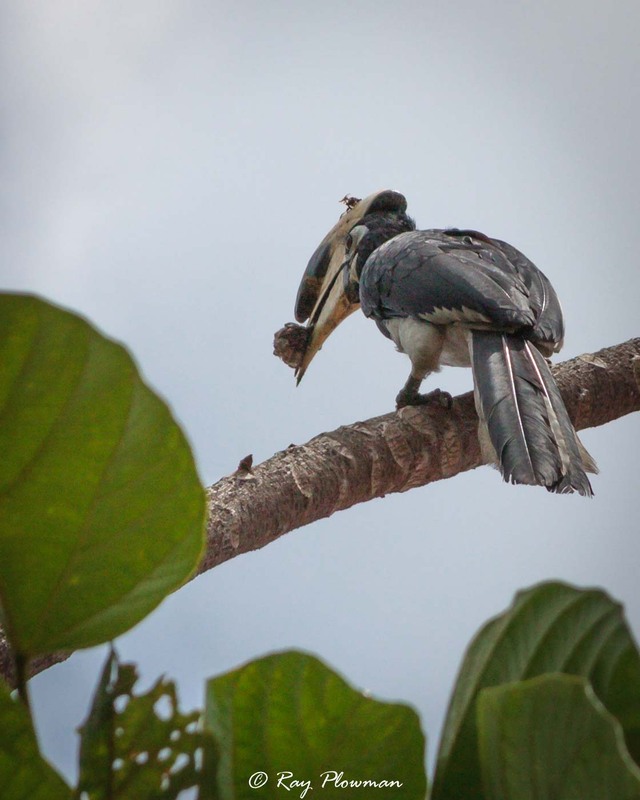 Oriental pied hornbills are omnivorous – a couple of images show a bird eating a large grass hopper and another foraging for fruit. 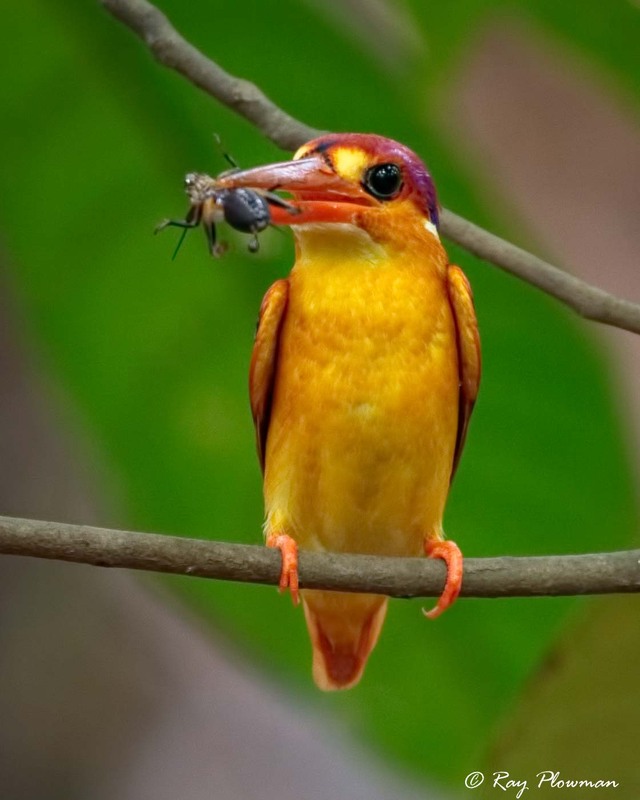 In one of my images I noticed that the bird had eyelashes; but birds don’t have eyelashes, do they? 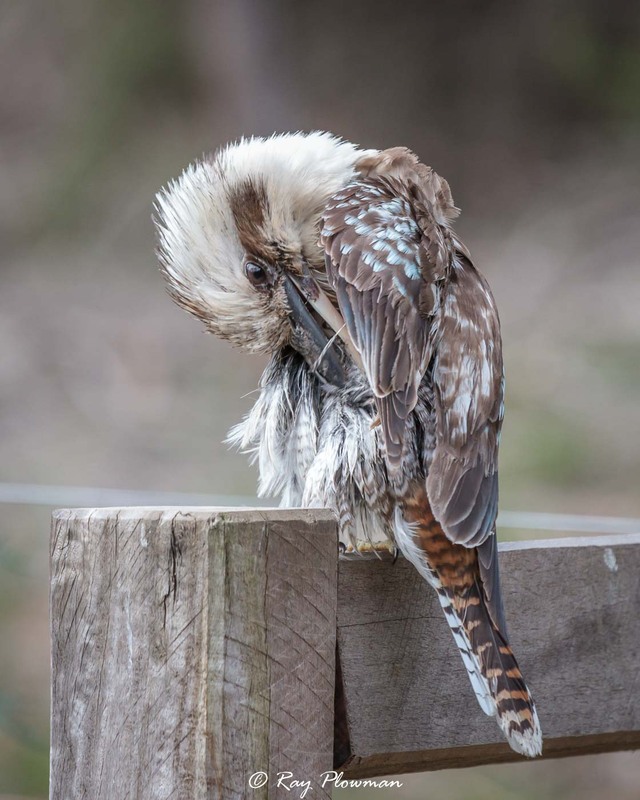 Well it seems a few species do have modified feathers called rictal bristles that look like eyelashes, which may have a role to play in hunting prey. 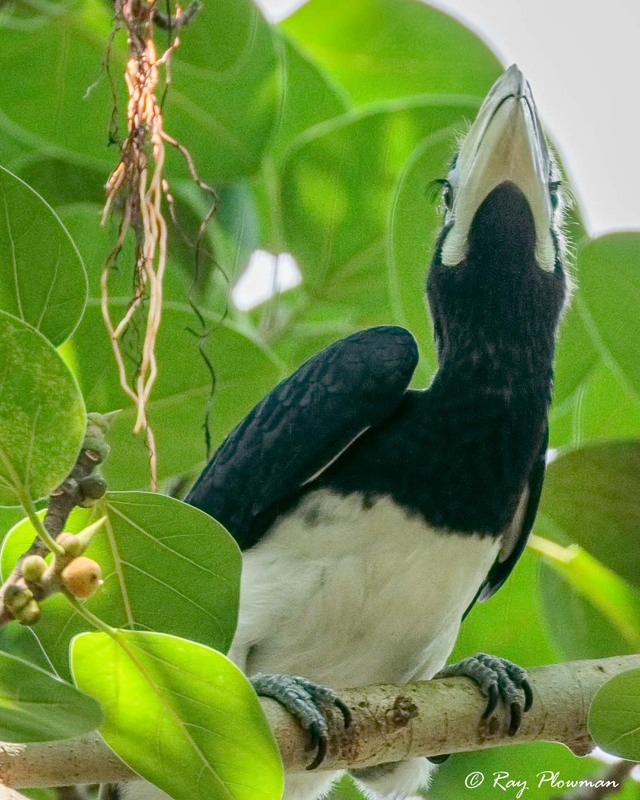 The final hornbill image is ssp convexus on Pulau Ubin in 2011.